Compressors There are 13 products. 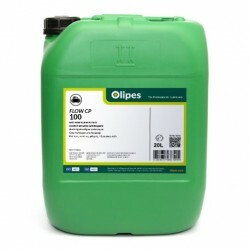 Flow CP 100 is a mineral oil for screw air, centrifugal and reciprocating air compressors, vacuum pumps and pneumatic tools. Flow CP 150 is a mineral oil for screw air, centrifugal and reciprocating air compressors, vacuum pumps and pneumatic tools. Flow CP 32 is a mineral based lubricating oil formulated with special ashless additives for the lubrication of air compressors and hydraulic systems. Flow CP 46 is a mineral based lubricating oil formulated with special ashless additives for the lubrication of air compressors and hydraulic systems. Flow CP 68 is a mineral based lubricating oil formulated with special ashless additives for the lubrication of air compressors and hydraulic systems. Flow FR N 32 is a naphthenic-based product specially designed to meet the lubrication needs of refrigeration compressors. Flow FR N 46 is a naphthenic-based product specially designed to meet the lubrication needs of refrigeration compressors. Flow FR N 68 is a naphthenic-based product specially designed to meet the lubrication needs of refrigeration compressors. Flow FR SE 32 is a synthetic ester-based product specially formulated to meet the needs of lubrication in compressors where a long-lasting oil is required. Flow FR SE 68 is a synthetic ester-based product specially formulated to meet the needs of lubrication in compressors where a long-lasting oil is required.